The entirety of the Seaside Heights oceanfront will be closed to swimming Thursday, largely as a precautionary measure due to runoff from torrential rains that passed through the area earlier this week. Mayor Anthony Vaz said the state Department of Environmental Protection tests beaches following storms, and found elevated levels of bacteria in the water. It was not clear whether the storm led runoff into the ocean or if the very warm water is attracting more baitfish, which brings additional waterfowl to the beach. Bird activity was especially noticeable at local beaches Wednesday (see photo below). The ocean was tested again Wednesday, and while the water is expected to be clean, results take 24 hours to process, necessitating the suspension of swimming until the water is cleared. A small number of beaches were closed Wednesday. 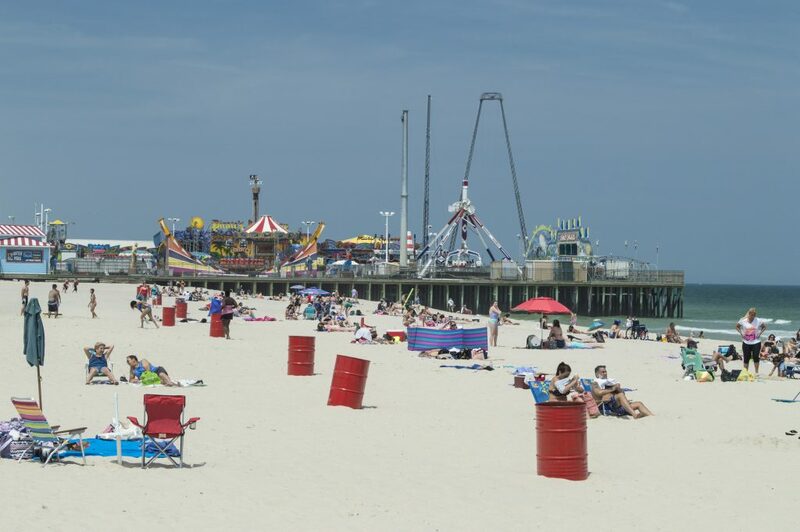 “I’ve been here a long time and this is the first time I ever remember this happening in Seaside Heights,” Vaz said, noting that the borough’s bay beaches were also tested and will remain open. The beaches themselves will be open, but swimming will not be permitted. The borough will not charge to access the beach Thursday and will give visitors a free daily badge that can be used for a future trip. Officials expect the beaches to reopen for swimming on Friday. New Jersey’s beaches are subject to some of the toughest monitoring in the nation. Between May and mid-September, local health departments monitor recreational beach water quality and the DEP conducts regular coastal surveillance flights. 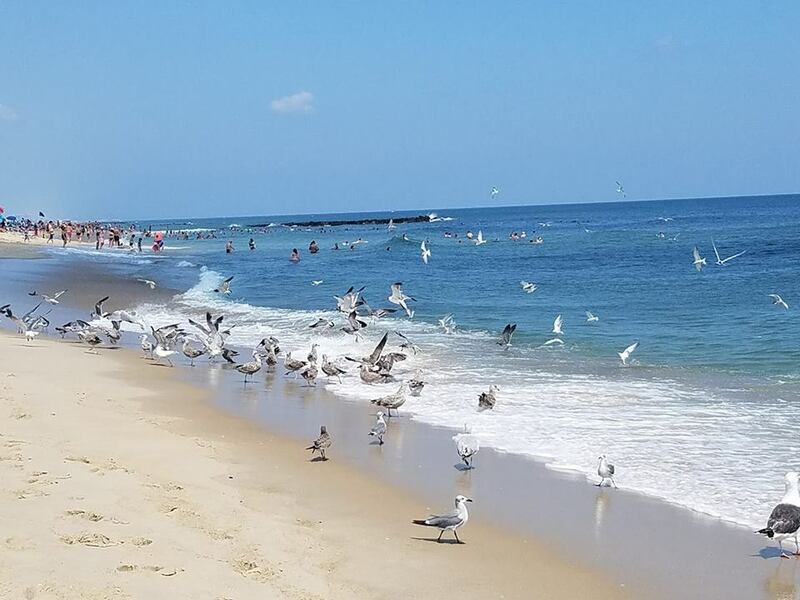 A full list of beach closures and advisories can be found on the state’s beach website and the Ocean County Health Department website.